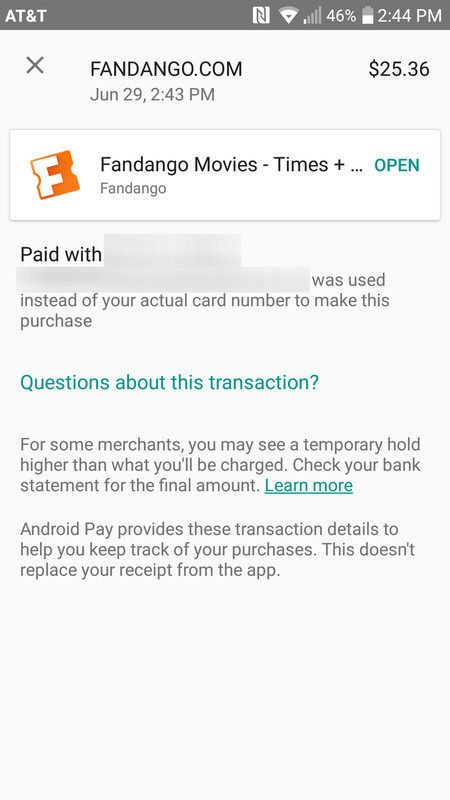 Now when you buy tickets through the Android app, Android Pay shows up as a payment option. 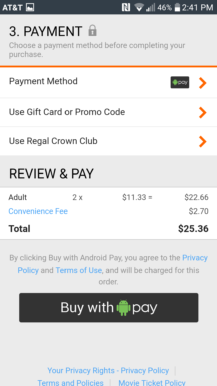 I just tried it out by buying two tickets to Spider-Man: Homecoming and it worked great. 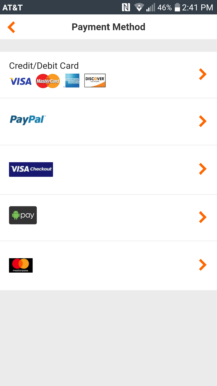 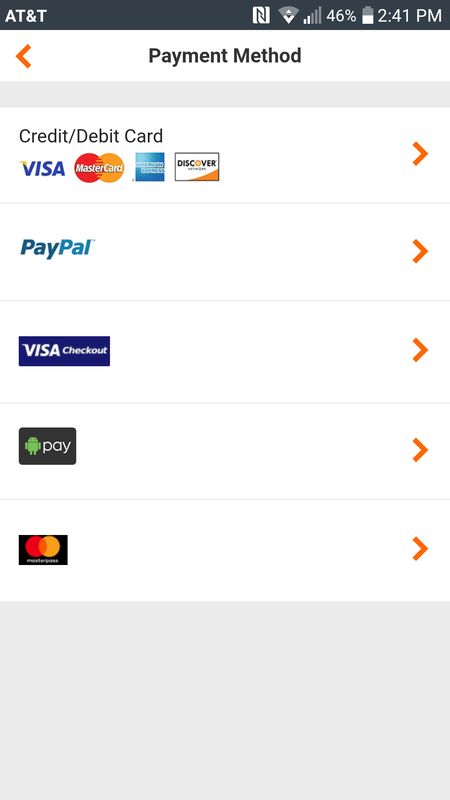 Much faster than PayPal - it's just like using Android Pay in a physical store. 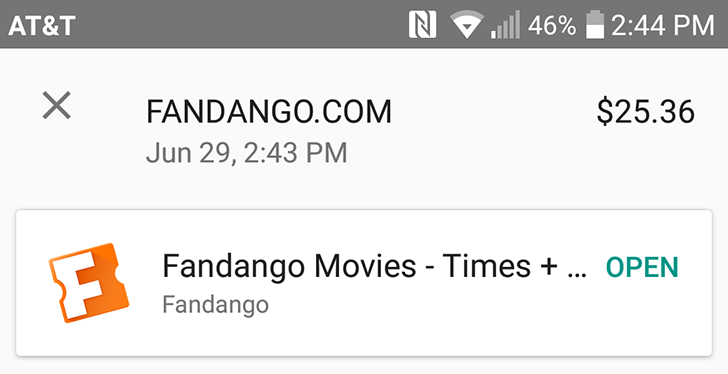 As the late Billy Mays would say, "But wait, there's more!" 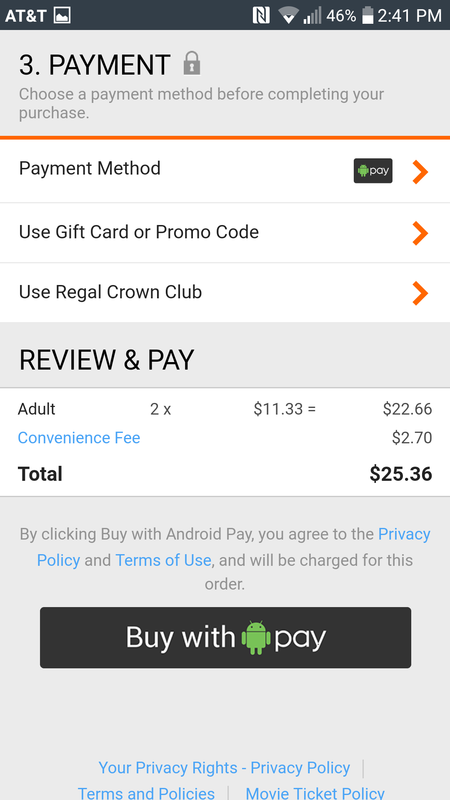 If you buy tickets with Android Pay and use promo code AndroidPay1 at checkout, you get $3 off your purchase. 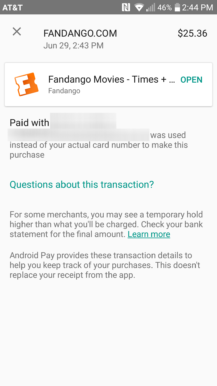 Google says there will be a new promo code every week until July 5, so just check the Android Pay promotions page for the most recent code.